A federal jury convicted two Florida men on Feb. 7th on charges of conspiracy, making false claims on the United States government, and wire fraud. According to court records and evidence presented at trial, Dan Thomas Lounsbury, Jr. of South Palm Beach, and Andres Lopez-Munoz are both executives of Tactical Products Group, LLC (TPG), a Florida-based manufacturer and re-seller of various products to military, law enforcement, and private security clients. 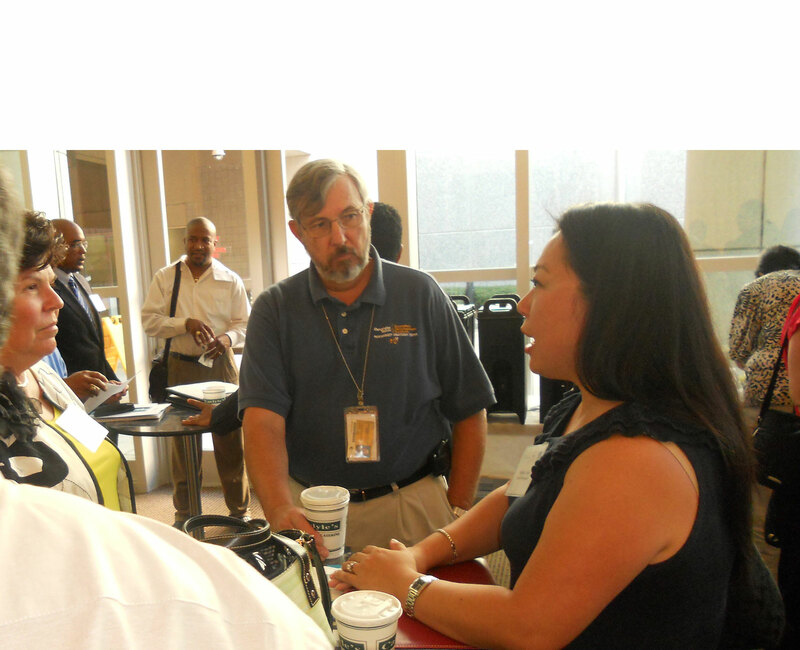 Lounsbury is the founder, owner, and CEO of TPG, while Lopez-Munoz is TPG’s vice president for sales and federal contracting. 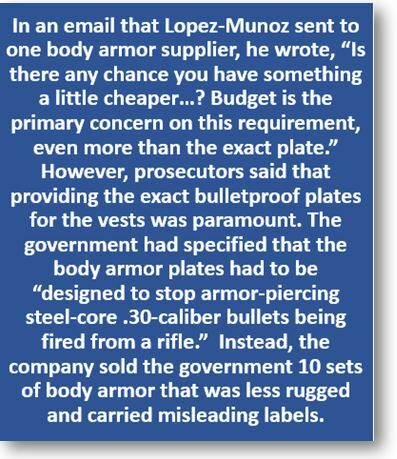 In 2012, TPG was selected as a subcontractor on a contract to provide certain goods, including 10 sets of hard body armor plates, to the United States government. Lounsbury and Lopez-Munoz face a maximum penalty of 20 years in prison when sentenced on May 10, 2019. Actual sentences for federal crimes are typically less than the maximum penalties. A federal district court judge will determine any sentence after taking into account the U.S. Sentencing Guidelines and other statutory factors. Filed Under: Contracting News Tagged With: body armor, DOJ, false claims, fraud, Justice Dept.